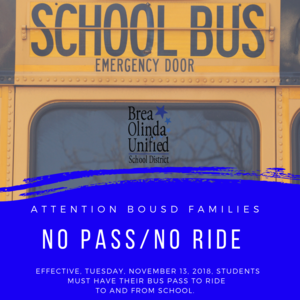 Students will not be allowed to ride the bus without a bus pass after Tuesday, November 13, 2018. If students have lost or misplaced their pass, a new pass can be generated for a $10 fee. 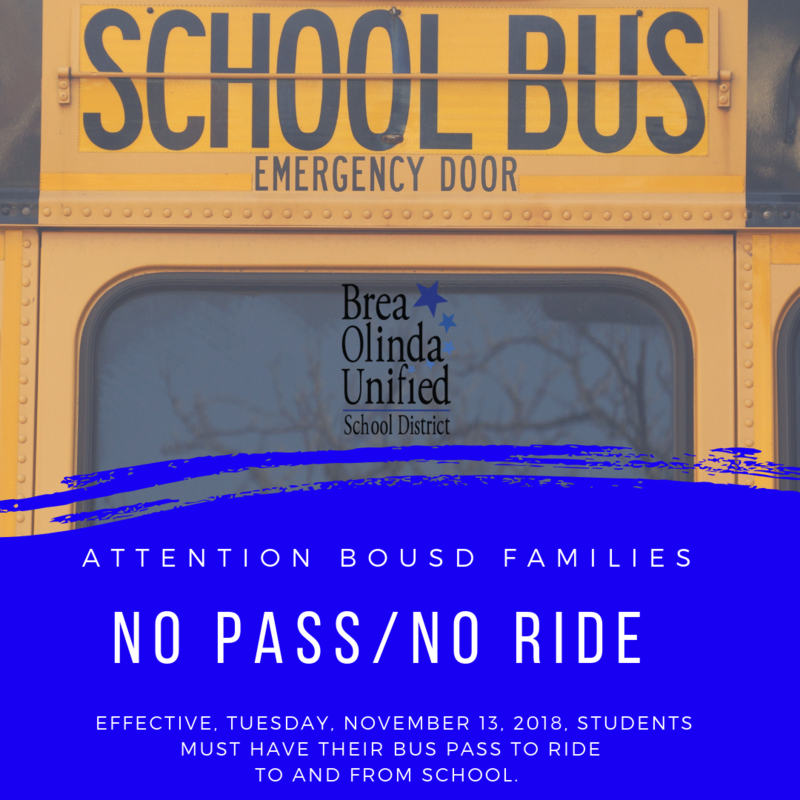 For additional information or questions, please call the Transportation office at (714) 990-7837.